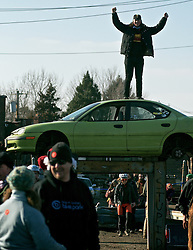 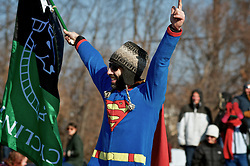 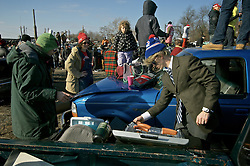 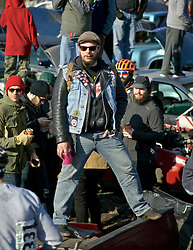 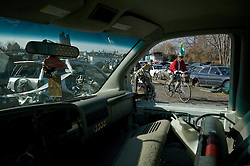 Philadelphia, PA, USA - December 21, 2014; Each year a group cycling enthusiasts converge on a junkyard in North Philadelphia to race each other on dirt paths winding between junk cars at the annual Bilenky Cyclocross event. 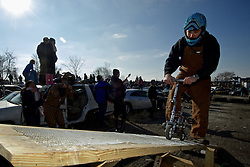 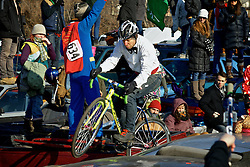 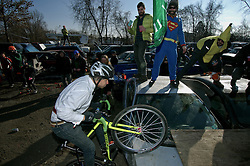 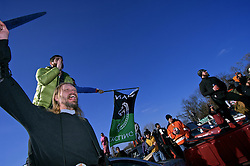 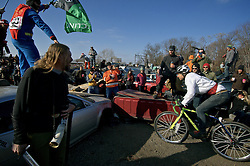 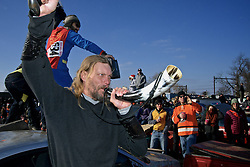 Participants race on all sorts of bikes, including homemade "funnies," over a course that takes them under, over and around vehicles parked on the junkyard. 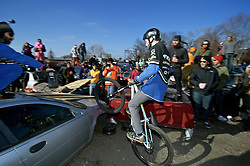 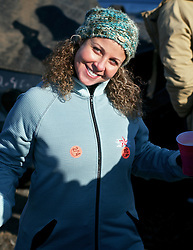 The venue is between the railroad tracks and the bicycle factory of Bilenky Cycle Works in North Philadelphia.